it isn't surprising there are clouds in the sky this morning. scrolling through social media feels dirty. people spewing venom and hatred with every swipe of the finger. we are a divided nation. slinging hate and lies and darkness with every word we drip. from college football teams to presidential candidates, we dig in our heels. we force our opinion on others. we call others ignorant or uneducated or simple-minded. we refuse others their right to their own opinion. if we disagree, then we can't possibly be friends. it is all just too much. so much, that i weep. my heart breaks and my insides tremble. not because your football team. nor because you choose to stand on a different platform. and certainly not because of our president-elect. both candidates are morally bankrupt. and both candidates were bound to lead us astray. i weep because of the hate. we spew hate because it is what we have been taught. we can't stand to look ourselves in the mirror and own up to our own faulty beliefs. lies we have tightly clenched. we can no longer discern the truth. we shield ourselves from the light because we have grown accustomed to darkness. we will never be a great nation until we can walk worthy of the Truth. there is only One who speaks truth. and He loves the world so much. He gave up His throne. in a dank, dark, dirty stable. and He gave up His life on this earth so that we can be free. free of the hate and lies and darkness of this world. He is urging us to turn back to Him. to stand firm on the truth of His word. to steady our hearts and shine His light into this dark, dismal world. to cling to the Him - the only hope there is. our hope does not reside on pennsylvania avenue. it does not sit on the throne in an oval office. nor is it the chief commander of all the generals, admirals, star-wearing, sword-bearing people. our Hope still sits at the right hand of the One who knit us together. the One who calls us to be unified. the One who provides peace. the One who calms the sea and walks on water. the One who heals the sick, the lame, the blind, the mute, the deaf. the One who graciously gives us all things. the One who steadies the shaken. the One who frees the fallen. and we are called to love. to love the ones who stand opposite of us. the ones that sling the hate and spew the lies. the ones who call us names and throw the stones. the ones that are dripped in scandal and cloaked in sin. the ones who are blinded to light. before we can love all the ones, we must first love ourselves. love our misgivings and misguided beliefs. we must stand face to face with the mirror and admit that we are just as flawed as those that oppose us. we must stop pointing fingers and shouting obscenities. we must lend our ear towards the Truth and begin to bury it deep in our hearts. do an about-face from wickedness and walk towards the light. He has not abdicated the Throne. and He bigger and mightier than any office. at the end of each day, one thing remains. read the last page of the Book. so let's stop the yelling and bickering and name-calling and lie-telling. let's quit worrying and wringing our hands. let's cease the striving and trying and pushing and pulling. instead, let us be still. may we be ambassadors of Truth. 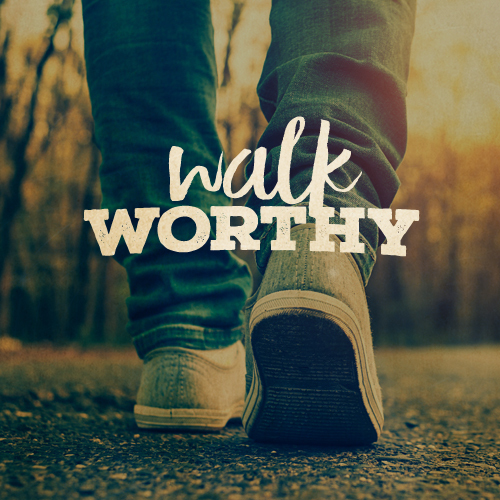 as ones who proclaim to follow Him, may we walk worthy. today and all the tomorrows.